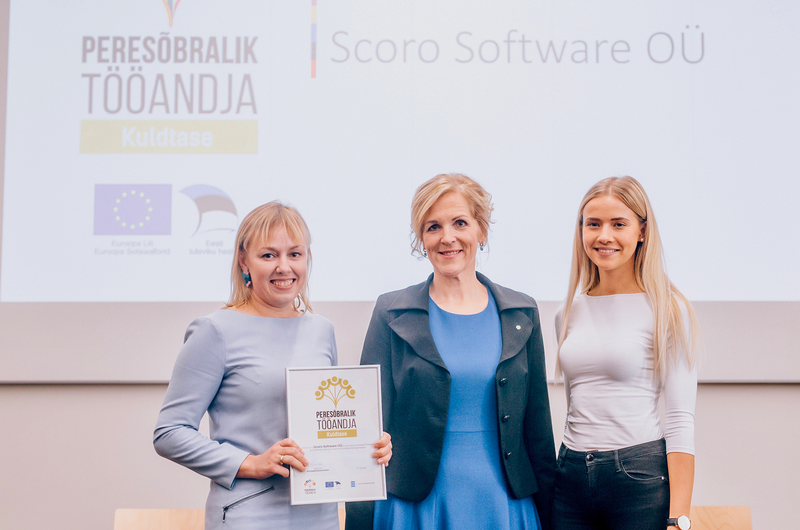 Estonian Ministry of Social Affairs awarded Scoro with Golden Label of Family-Friendly Company. In Scoro, we value all our employees and acknowledge that creating a better working environment for everyone is an everlasting process. As such, this award is not an end goal for us but a confirmation that we are heading in the right direction. The Ministry of Social Affairs and its partners have established a Family-Friendly Employer’s program to draw attention to the family-friendly culture and raise awareness among employers about the importance of the topic. The idea behind this program is to work towards a more family-friendly work culture, to gain a competitive edge over other employers and to create an environment where every employee feels valued. Family-friendly practices are a crucial part of the company culture. However, the name of this award might be misleading. It does not only focus on employees with children but also applies to everyone in the company, as every person has a life outside of work. Whether related to family, education or personal development, in Scoro these things are not considered irrelevant. Quite the opposite – personal achievements are acknowledged and celebrated. 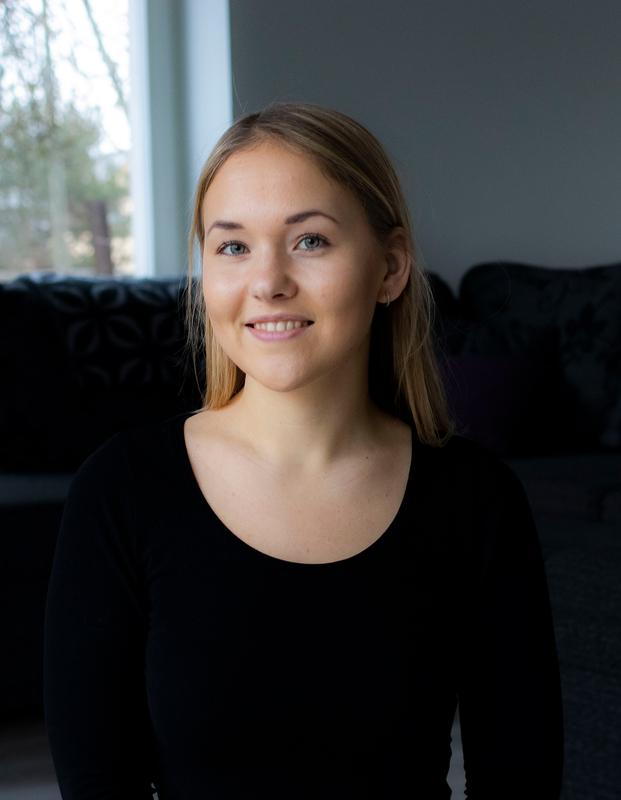 Company culture is a matter our People Operation Manager Kadri Mäe has always advocated for. She sees every Scoro employee as an individual and believes everyone should be able to have a right balance between their work and home life. WHY IS FAMILY-FRIENDLY COMPANY CULTURE SO IMPORTANT? Choosing which company to work for is not a simple decision. Prospective employees feel that the company culture is equally as important as the salary and other benefits. They see their job as an extension of themselves and try to find a place where their values line up with the company values. In response, employers should also adapt to new policies to attract and retain new employees. 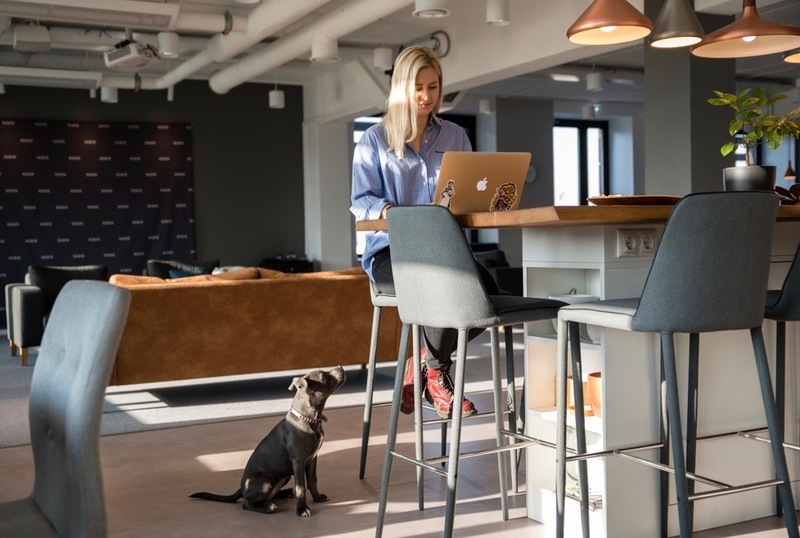 Luckily, more and more businesses have started to establish a work environment that enables employees to balance and fulfill all their responsibilities effectively. At first glance, it seems that improving your company culture is more beneficial to employees than employers. However, there are immense benefits for the employer as well. Minister of Social Protection of Estonia, Kaia Iva stated that according to research businesses that have established a family-friendly company culture, have a competitive edge over the other companies. Increased productivity, reduced employee turnover, and improved reputation are among other benefits of being a family-friendly employer. Increased productivity. Employers who care for their people and make an effort to improve their company culture are found to motivate employees to work harder. These employees are more dedicated to their job as they feel appreciated for their work. Reduced employee turnover. 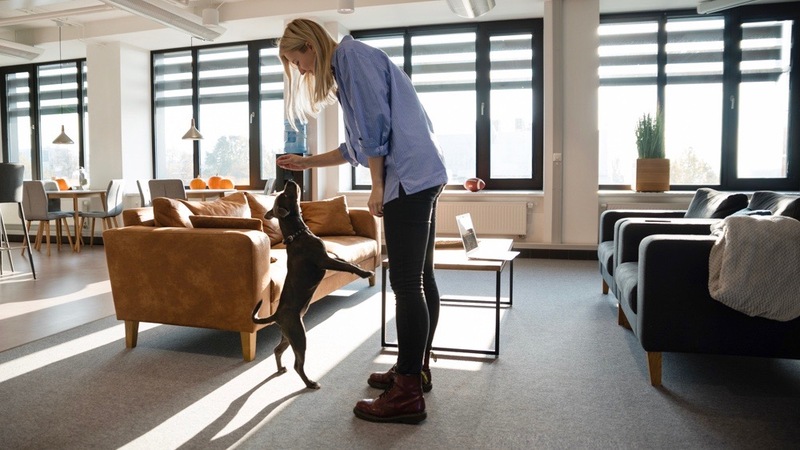 Employees who sense their employer values them and makes an effort to help balance their work and home life, are usually more loyal. They enjoy coming to work every day and are more likely to stay with their current employer. Improved reputation. Employers can’t afford to lose great candidates to other employers with a better reputation. When people enjoy working at your company, they are more loyal and more likely to share their good experience with other people. This, in turn, might result in more people wanting to work for your company. Scoro wanted to take part in the Family-Friendly Employer’s Program to share the things that have helped us create a company culture we are incredibly proud of. Advocating for a family-friendly workplace is only a first step. Practicing, and continuously improving the workplace is a commitment many employers fail to carry out successfully. Therefore, we have gathered some useful ideas to keep in mind when creating a more family-friendly company culture. Every company is unique, and no one strategy fits everyone. Therefore, it is acceptable to do things differently. More than that, we encourage you to do things differently. Based on the unique characteristics of your company, such as size and industry, you can figure out what is the best course of action for you. The hardest part is always maintaining the company culture you have created. It is especially challenging for businesses who are going through rapid growth. It is not an easy task to keep the communication very personalized when there are so many more people in the company. 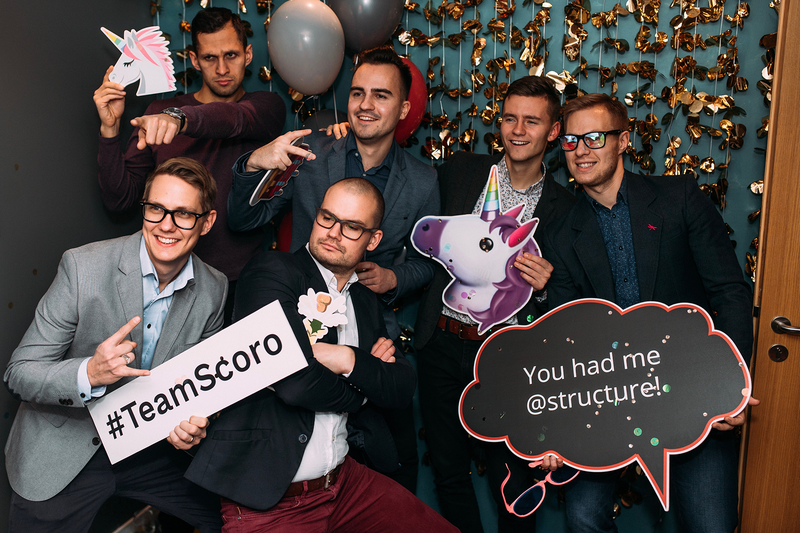 However, in Scoro we are working on keeping our communication open and sincere, as the “understanding between employees” and “sense of good team vibe” are two of the main reasons why people enjoy working at Scoro. Another crucial thing to remember is that maintaining a company culture starts with the hiring process. It is easy to get lost in the hiring process when your company is growing rapidly. It creates the illusion of having to hire a lot of new people in a very short period. However, whenever choosing new people for your team, you should always keep in mind your company values. Commit to finding people who can improve your company culture and bring new ideas to the team. Also, include other team members to the hiring process. Closely related to the previous point, it is essential to trust the people you have hired. Trust is a foundation to all relationships and interactions, and successful businesses are built on trust. However, just talking about trust isn’t enough. Companies have to start to walk the walk. And the trust is twofold. Firstly, you have to have trust in your recruiting team to choose the best possible candidates, who share the values important to your business. After that, you should extend the trust to all the people working at your company. In Scoro, we feel that flexibility is an essential component of trust. As long as the work doesn’t suffer and results are excellent, is done well, it is up to every person to choose their working hours and location.